This Natural Cure For Arthritis Can End Your Pain. A natural cure for arthritis allowed me to overcome the periodic bouts of pain in my hands and knees that plagued me for half a decade. Through my teens I was overweight, prone to headaches, backaches, and suffered from regular intestinal problems. By the time I was 17, I started noticing pain in my hands and knees that didn't seem to correlate to any particular injury. The ache would come and go. Sometimes I'd try to grip a pen and and my hand would hurt around the knuckles. If I waited an hour or two it would be gone. Sometimes I'd get out of a chair and find that bending my knees would would randomly hurt. It was never enough to disable me, but I realized that things weren't getting better. I cut meat, dairy and eggs out of my diet in college, things seemed to get a bit better, but I still had the same periodic yet persistent pain. 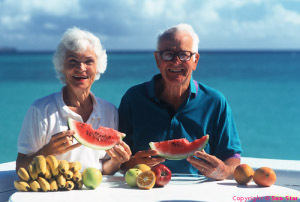 A Raw Food Diet Is A Natural Arthritis Cure? When I tried switching to a raw food diet to fix my colitis I wasn't even thinking about a natural cure for arthritis. All I wanted was an end to my intestinal woes. I went on a diet of just raw fruits, and by month two I realized that my colitis was completely and totally gone, so I added in raw vegetables again. I continued to face periodic bouts of arthritis pain without much thought. About five months after I started I realized one day that I hadn't had a bout of joint pain in months. Could that be right? Was I forgetting one? More months went by and my suspicion proved correct. I haven't had a bout of pain since. My arthritis went away because I removed the acid-forming and denatured protein foods from my diet. Meat and grains are extremely acid forming. Our bodies have no choice but to strip calcium from our bones to counteract it, and this is one source of osteoporosis. Dr. Doug Graham explains: "Grains contain a substance known as phytic acid. During the process of digestion, the body binds phytic acid with calcium, a powerful alkaline, in order to neutralize its acidity...grains also contain abundant quantities of acid-forming minerals. The body must yield up calcium from the bones to neutralize the acidity in grains." Fruit is a delicious, easy to digest, non acid-forming food that can be eaten without negative consequence. I've explained how to adopt a healthy raw food diet here. 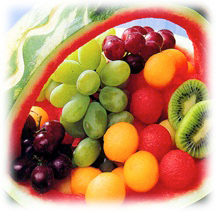 The basic idea is that raw fruits and vegetables are the only foods that put virtually no digestive load on the body. They're higher than any other food in vitamins and minerals, and they completely satisfy. You'll find new vitality and extreme health, as I have, by adopting a raw food diet. 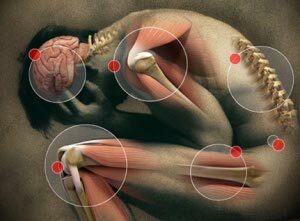 You might also be interested to know that this natural cure for arthritis cures other diseases as well. Feeling Daunted? Start off easy with a healthy breakfast. It's a good start.